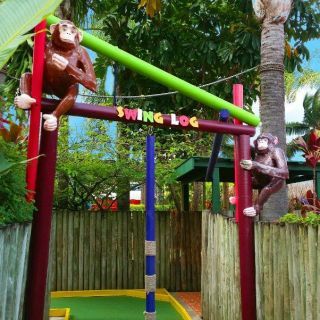 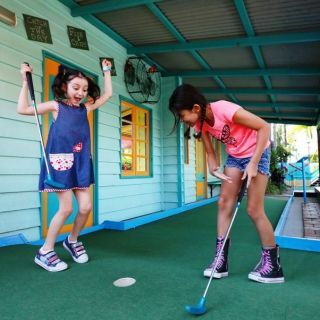 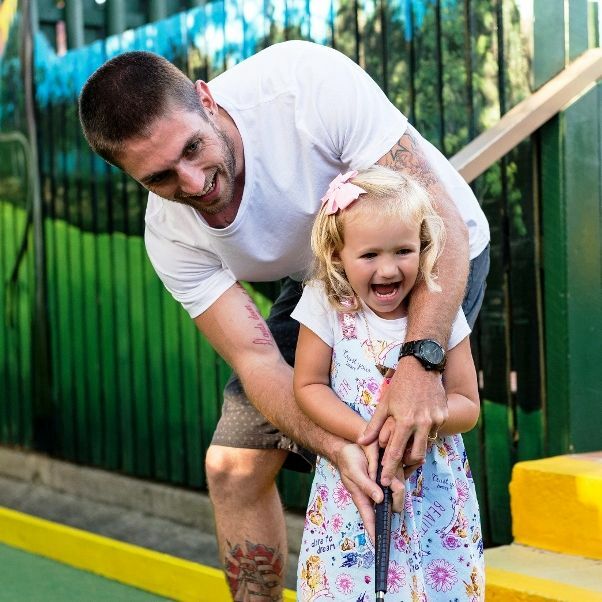 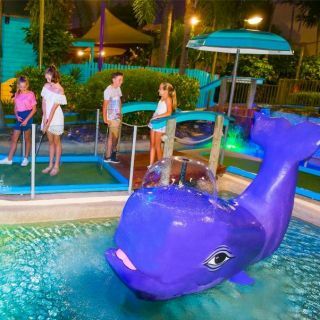 Putt Putt Mermaid Beach - Putt Putt Golf Mermaid Beach has 3 themed 18 Hole Mini Golf Courses ~ Fun Run, Jungle Trail & Waterways Cove. 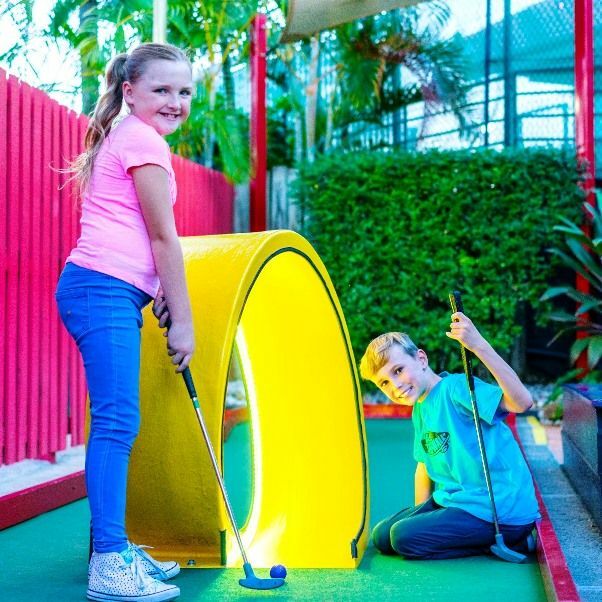 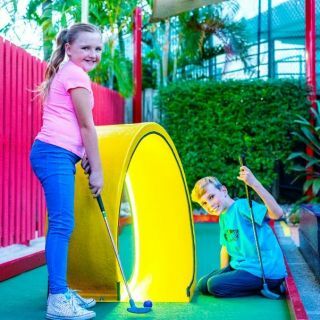 Holes of Fun on the Gold Coast! 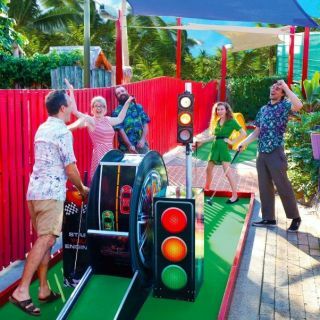 An explosion of colour, whimsical characters and tricky motorised obstacles - That's just the beginning! 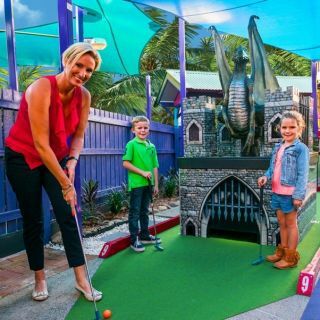 Fight off a medieval dragon, whiz around our loop de loop and visit a castle worthy of a fairy tale ending (your hole in one). 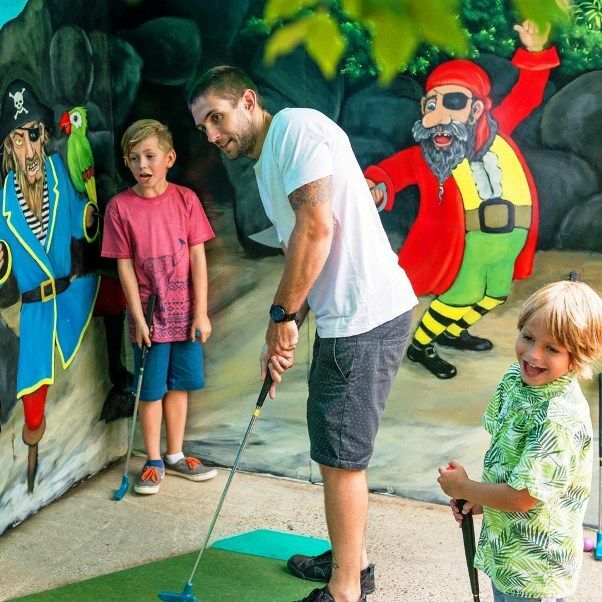 Time your putt to perfection at the spinning windmill, pass through pirate’s treasure and a not too spooky haunted house. 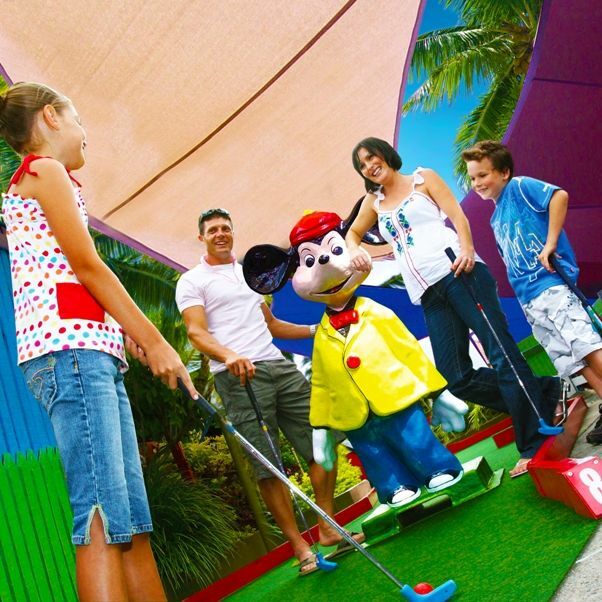 Play rain or shine with all 18 holes covered by waterproof shade sails. 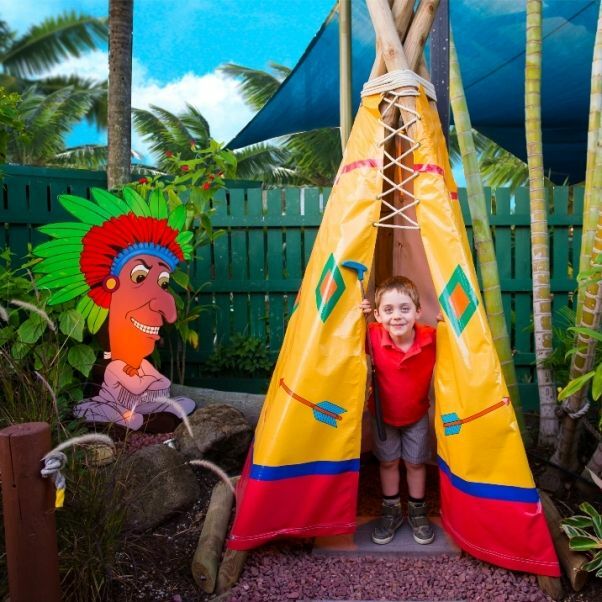 Take a walk on the wild side in our tropical Jungle Trail. 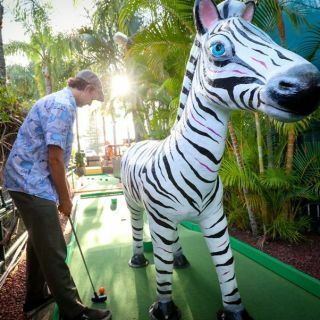 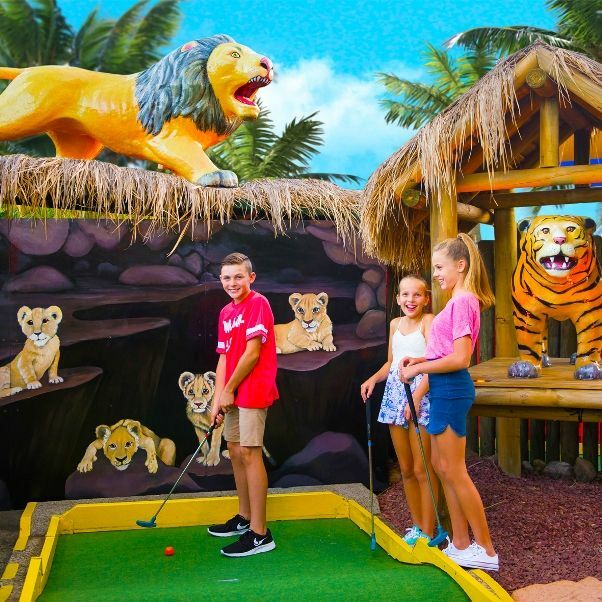 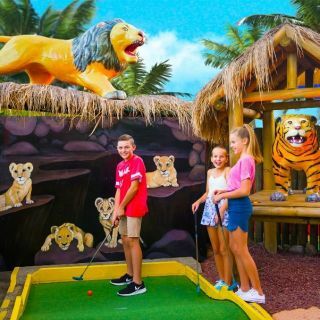 Get amongst our tribe of animals, have a chat with a talking parrot, meet the ‘King of the Jungle’ himself, hug a big ol’ grizzly bear and see some friendly elephants who really love the sound of their own trumpets as you putt away on safari. 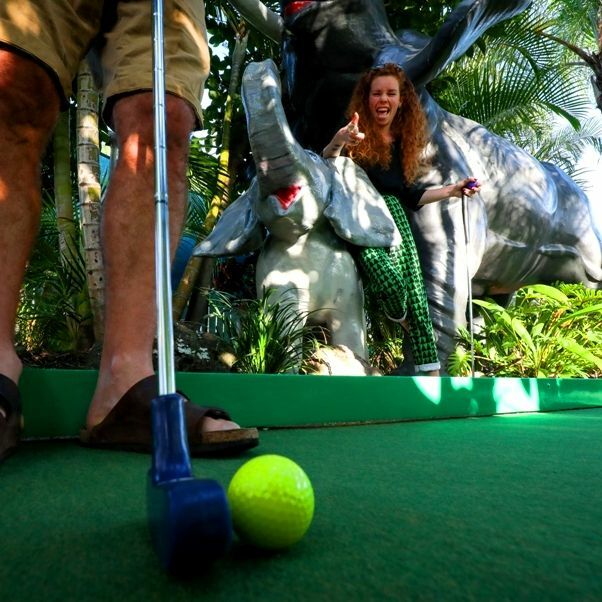 Discover hidden retreats nestled in a labyrinth of gardens and spice up your game with our Safari spinners. 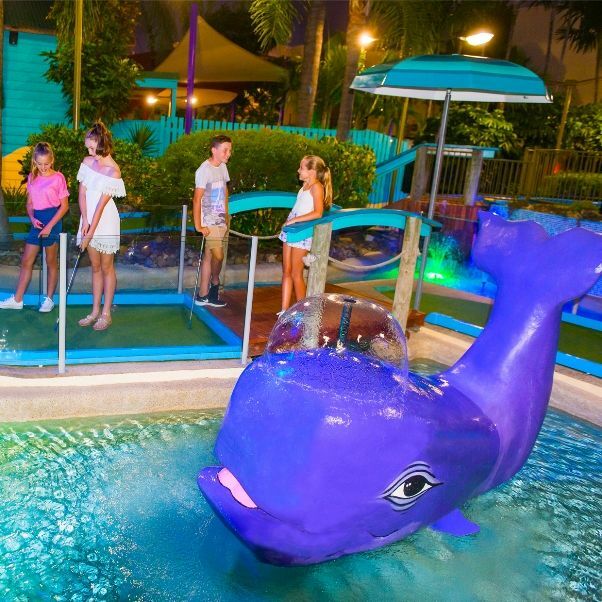 Did someone say putt putt paradise? Get all swept up in a tropical oasis of cascading waterfalls, cheeky turtles, shipwrecked pirates and a frolicking dolphin on our Waterways Course. Hang out along the shimmering blue lagoon, tip toe over wooden bridges and take on the challenge of our Tiki spinners. 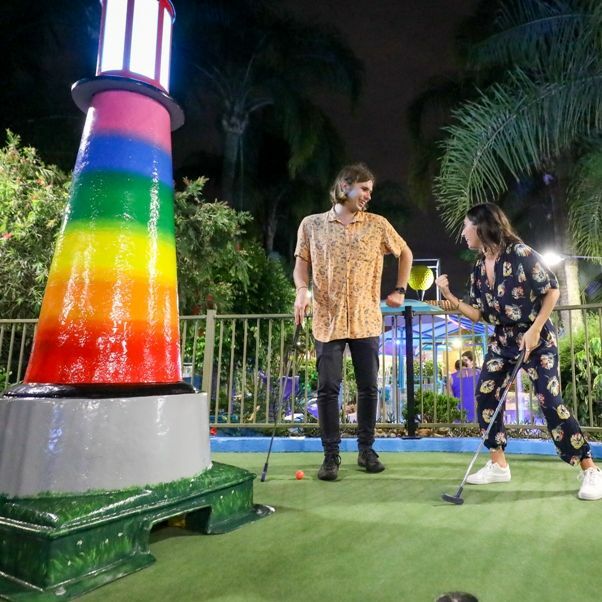 Be dazzled by light displays come nightfall and make your way towards our mesmerising lighthouse.